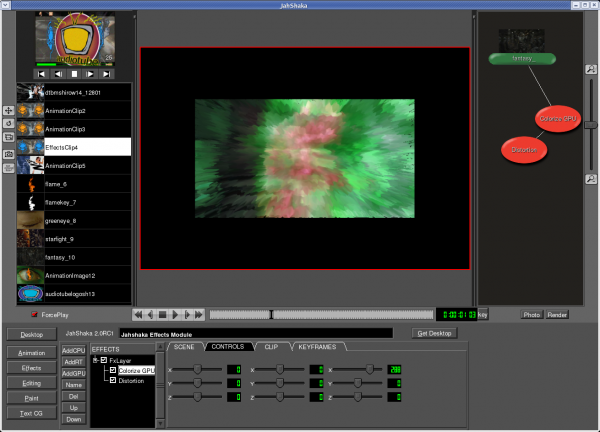 Designed for editors and other professionals involved in digital content creation, Jahshaka is a post production suite that will ultimately include modules for video and audio editing, compositing, animation, visual effects, graphics and paint. Designed for editors and other professionals involved in digital content creation, Jahshaka is a post production suite that will ultimately include modules for video and audio editing, compositing, animation, visual effects, graphics and paint. Hardware accelerated using OpenGL and built using cross-platform technology, the software runs equally well on Windows, Mac OSX and Linux. Under development since January 2000, the project has had more than 500,000 downloads to date. 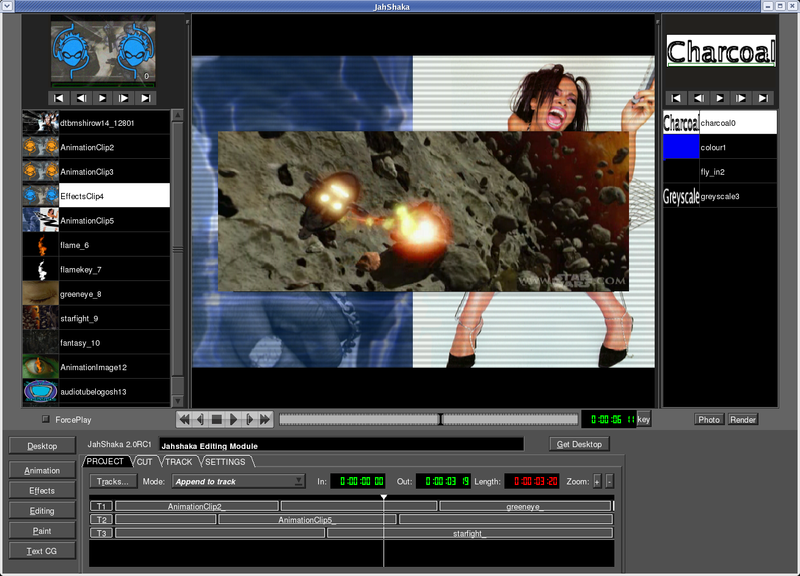 The Jahshaka 2.0 release also includes JahPlayer 0.1.0, a professional grade media player capable of playing uncompressed video and image sequences at resolutions as high as 2K and 4K in real-time and featuring image analysis tools and basic editorial functions. It is different from most media players on the market in that it is able to maintain the aspect ratio of the source and it uses a completely hardware accelerated pipeline. 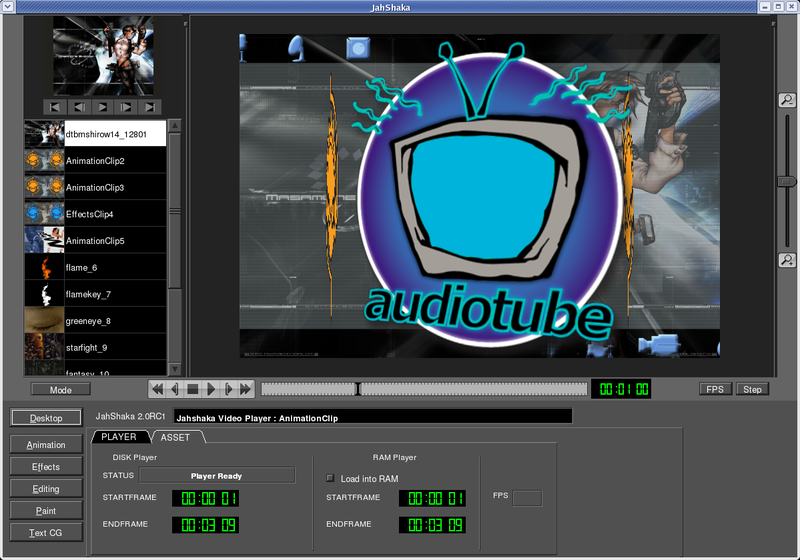 Future versions will include real-time color correction, real-time 3D scene files and A/B playback. Jahplayer 0.1.0 is based on entirely new source code that will serve as the basis for Jahshaka 3.0. The new source code underlying Jahplayer features an Open API architecture that is designed to encourage the development of plugins and other add-ons by third parties. Similarly, it is Python-based to facilitate scripting. Distributed under the GNU General Public License, Jahshaka is a groundbreaking tool that promises to revolutionize digital content creation through the power of open source. What makes Jahshaka radically different from other video production software is that it is being developed as an open source project. 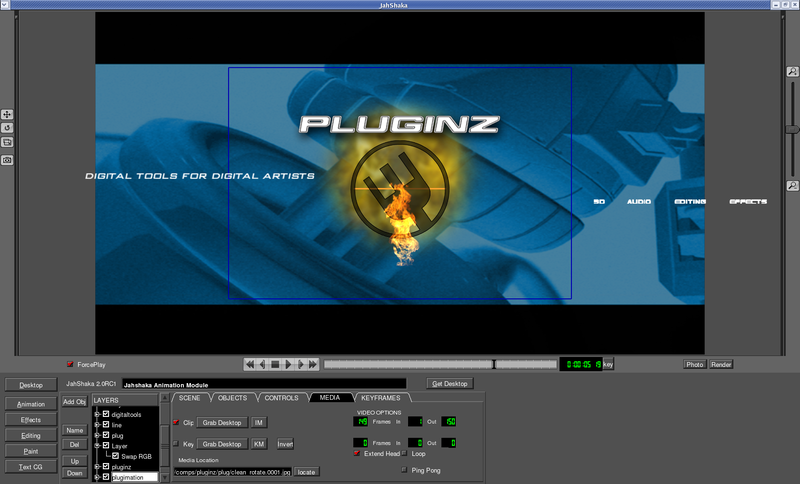 The software is freely available and a community of users is contributing to its development and the creation of new features and plugins. Jahshaka 2.0 is available now for immediate download! This latest version of the software includes a host of critical updates that are certain to please veteran users and provide a more stable and satisfying experience to those new to the open source project. This latest version is the most rock-solid version of Jahshaka to date and represents an important milestone in our development!